Before I delve into the details about which earmuffs are best for which application, here is my overall ranking. Please note that this ranking is personal and does not only account for noise reduction, but also general usability, comfort, weight, build quality, and price. All earmuffs included in this ranking, except for the last one, are good noise blockers. I would be happy if you gave me any one of these to fend off distracting noise while trying to concentrate. The last one is too weak for louder environments and is included for people who want to use earmuffs during sleep. The Peltor X5A clearly stand out. They block noise better than any other earmuffs I know. Whether you need to block low-frequency noise, human speech, or high-frequency noise, these earmuffs do it all. They are the only ones than can compete with the Leightning L3 on low-pitched noise and they clearly outperform the L3 in every other frequency band. Because they attenuate so well across a wide range of frequencies, their speech blocking ability is a step ahead of all the others. Consequently, these are not the earmuffs to get if you want to understand what people around you are saying. The X5A are extremely well made, reasonably comfortable and adjustable. The main drawbacks: Weighing 12.4 ounces (351 g), they are a bit on the heavy side, and there is no mistaking them for headphones. Wearing them, you are going to look like an aircraft mechanic. But if you need the best noise blocking, these are the earmuffs to get. The Peltor Optime 105 are very effective earmuffs that block noise well across all frequencies. The X5A are a bit more effective, but not by a magnitude. These are as adjustable as the X5A (and more so than the Leightning L3). At 9.3 ounces (265 g), they are also lighter, and I find them a tad more comfortable. The X5A are built a bit better, but I haven’t managed to do any damage to the Optime 105 either. They are out-edged by the Leightning L3 when it comes to low-frequency noise, but better than the L3 for speech and high-frequency noise. I recently gave mine away to a friend who was in dire need of a good pair to keep his sanity. He loves them as well. I had a really hard time parting with them, but didn’t want to give away the X5A. So yes, I prefer the X5A, but it is close. 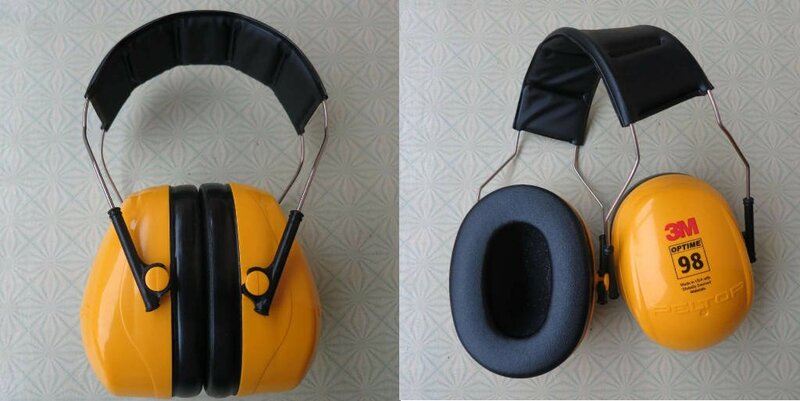 If you are looking for earmuffs that offer high noise reduction, you won’t go wrong with Optime 105. They are usually a bit cheaper than the X5A. The Peltor Optime 98 are great all-around earmuffs to take the edge off of noise. They are easy to carry around and work well in moderate-noise coffee shops and open offices. They are sturdy, very light (7.8 ounces, 221 g) and adjustable, and feature a low profile. I find them very comfortable. Do you have a child who is hypersensitive to noise due to autism or ADHD, or just want earmuffs to take your kids along to an event? Try the Peltor Optime 98. They tend to fit children as well and are really light and carefree. For human speech and high-frequency noise the Optime 98 perform about as well as the Leightning L3 and the X4A, albeit not nearly as well as the X5A and the Optime 105. If are you are looking for great low-frequency noise blocking, these are not the muffs to get. All in all the Optime 98 are great earmuff for adults and kids, and as far as I am concerned, the most comfortable ones. In overall noise-reduction, the Leightning L3 are on par with the Optime 105 and a step behind the X5A. They are great for low-frequency noise reduction, as good as the X5A, and they are significantly lighter (10.6 ounces, 300 g) than the X5A. I find them quite comfortable. If you are trying to get rid of rumbling machines or low-pitched humming, they are a great choice. Howard Leight really seems to have a special formula for low-frequency noise blocking. They are, however, significantly worse than the X5A and the Optime 105 at blocking human speech and high-frequency noise. The overall built-quality is good, but the headband cushion is made of a soft material that is quite sensitive. I managed to unintentionally damage the headband at two locations with my finger nails. They are adjustable, but less so than Peltor earmuffs. They do fit me and are quite comfortable, but I have to pull out the ear-cups to the max. I have a medium-size head. The Peltor X4A are the highest-rated low-profile earmuffs I know of. In terms of noise-blocking effectiveness, they are a bit better than their nearest competitor, the Optime 98, but, at least for me, it is not a big difference. They are sturdier, built with more premium materials, and work better for low-frequency noise than the Optime 98, but they usually also cost a bit more. IMO, their main advantage is that they feature a really low profile, look sleek and can be mistaken for futuristic Bluetooth headphones. At 8.3 ounces (235 g) they are almost as light as the Optime 98. I have used them for quite a while and find them reasonably comfortable, but not as comfortable as the Optime 98. At 5.5 ounces (155 g), the Peltor Optime 95 are the lightest of all earmuffs in this review. I got these earmuffs for a special application: Having read positive reviews by other “sleepers,” I wanted to see whether they can be used while sleeping on the side. I would usually go with foam earplugs because I find them comfortable and more effective than the Optime 95, but these might be an option for people who cannot tolerate earplugs. Indeed, together with a ring pillow with a hole in the middle, they are a viable option. A memory-foam version of that pillow would probably be even better. As others have done, you can even upgrade them with the special Peltor gel sealing rings HY80 to make them more comfortable. They feature a lower profile than the Optime 98, but with my pillow the Optime 98 worked as well. Since the Optime 98 attenuate noise a lot better, I would try the 98 first. What’s more, the expensive gel ear pads also fit the Optime 98. Since the Optime 95 are cheap, you could buy them in addition to the 98 and see which ones work better for you. If you are a back sleeper who can’t tolerate earplugs, I would get the Optime 98. They are as comfortable and a lot more effective. I wouldn’t get the Optime 95 for any other applications as their noise blocking effectiveness is a bit too low for my taste. What is in the noise reduction rating? What is the NRR and what is the SNR? In both the US and Europe, reputable manufacturers provide a single-number noise reduction rating for all earmuffs they sell. This number is intended to provide you with a convenient and fast way to assess the noise reducing capability of a particular pair of earmuffs and its suitability to protect your hearing when exposed to noise up to a certain level. Note, however, that this single-number noise reduction rating was obtained in a laboratory and tends to overstate real-world attenuation. What’s more, there is some variation in test results (even according to the same standard) between different labs as well. Earmuffs sold in the US state the NRR (noise reduction rating), while earmuffs intended to be sold in Europe specify the SNR (single number rating). The standards and testing procedures in the US and Europe are different, so these numbers are not directly comparable. The European SNR for the same earmuffs tends to be higher than the US NRR, so make sure you know which number you are actually looking at: for example, when sold in the US, the 3M Peltor X5A box states an NRR of 31 dB, and when sold in Europe an SNR of 37 dB. Reputable manufacturers such as 3M and Honeywell tend to be very clear about which standard and number they are referring to. Some manufacturers and importers are not always clear about which rating they are talking about. For example, in the description on Amazon you might read something like “highest noise reduction of 34 decibels,” but, when digging deeper, the number actually refers to the SNR, which is at best confusing when the earmuffs are being sold in the US. In the US the relevant standard is ANSI S3.19-1974, while in Europe, it is EN 352-1:2002. Because the NRR (and the SNR) are weighted averages of tested attenuation levels at various frequencies, two earmuffs with exactly the same NRR can behave quite differently in a certain situation. For example, the Howard Leightning L3 and the 3M Peltor Optime 105 both have an NRR of 30 dB. 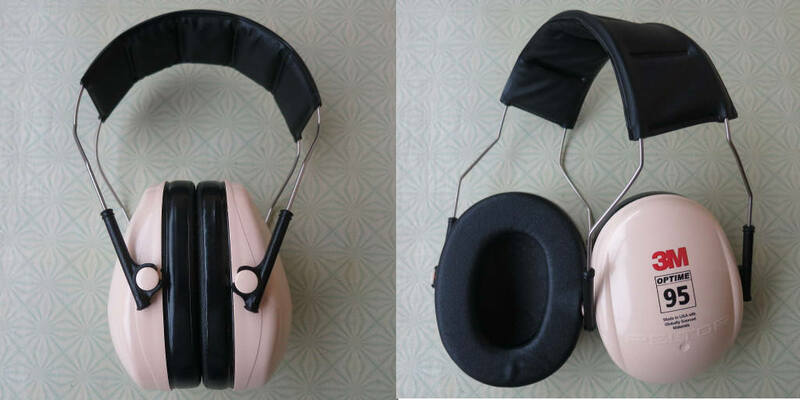 The Leightning L3 earmuffs block low-frequency noise better than the the 3M Optime 105, while for mid-range frequencies the two muffs attenuate about the same, and for high frequency noise, the Optime 105 is better than the L3. How is earmuffs’ attenuation measured in the US? Each frequency in the table refers to the center frequency of a narrow band. For each center frequency, test subjects listen to a pulsed pink noise signal with a bandwidth of 1/3 octave with and without the earmuffs to measure the attenuation. For example, for the center frequency of 125 Hz, the one-third octave band is 112 – 141 Hz. The test is performed in a laboratory with 10 test persons of normal hearing, who each undergo the test three times. Each attenuation number in the table is the average of 30 hearing tests. How important are the different frequencies in a real-world setting? If, for example, you are sitting in an open office, trying to cancel the chatter of colleagues, the Optime 105 are a better choice because they are better at blocking the frequency range relevant to human speech intelligibility. For more on this below. On the other hand, if you are working next to a rumbling machine, the Leightning L3 should work better for you. You won’t get this three-number rating in the US, but you can always look at the frequency attenuation table detailing the attenuation for each frequency band. If a manufacturer doesn’t provide this data in their description, ask them for the table! They must have it if they have had their earmuffs certified. Also, make sure it is clearly stated which testing standard has been applied! Here is the European attenuation data for the two earmuffs. Take note that the test procedure and test frequencies are different in the EU. 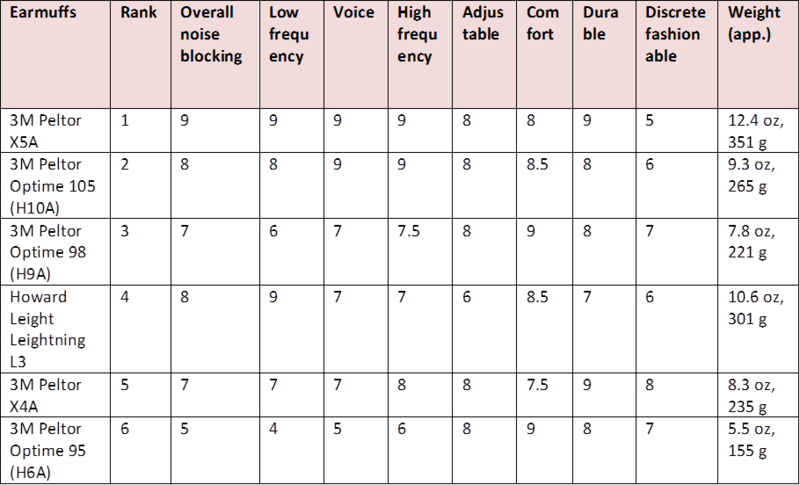 You can compare earmuffs using either table, but shouldn’t compare data from different tables, obtained according to different testing standards. Why don’t good earmuffs block all noise? When looking at the tables below, you may wonder why earmuffs (and earplugs for that matter) don’t provide perfect noise blocking. Apart from leakage and conduction through the earmuffs, there is another important reason: bone conduction. Sound waves also reach our inner ear via our skull and the soft tissue not enclosed by the earmuffs. This limits what attenuation earmuffs and earplugs can provide. Even if the perfect muffs existed, you would likely still hear people shouting. The sound would just get to your ear via a different pathway. Bone conduction is estimated to limit the maximum achievable attenuation of “normal” hearing protectors to around 47 dB at 125 Hz, 48 dB at 1000 Hz, 40 dB at 2000 Hz, and 49 dB at 4000 Hz. A noise blocking helmet covering the whole head would offer additional attenuation. In an experiment using such a helmet (and combining it with earmuffs and earplugs), 55 to 63 dB attenuation (at 1000- 1400 Hz) were achieved, but who wants to sit around and sweat wearing a helmet? The frequency range from 500 Hz to 4000 Hz is the most important one for speech intelligibility. Since speech is distracting and impairs performance on a variety of cognitive tasks, office workers and students want to wear earmuffs or earplugs that attenuate very well in this frequency range. The frequency band around 2000 Hz is the most important one, followed by 4000 Hz, 1000 Hz, and 500 Hz. In my own subjective tests in coffee shops, office environments, and while watching TV, the best earmuffs for blocking human speech were clearly the Peltor X5A, followed by the Peltor Optime 105. The muffs in third place work reasonably well with speech, but simply stand no chance against the X5A. Why do I have three muffs in third place? I couldn’t decide which pair was better. All three worked reasonably well, but my preference changed depending on whether the speaker was male or female. The X4A and the Optime 98 muffled more, while the Leighnting L3 cancelled more of the lower pitched parts of human speech. With speech, the highly-rated Howard Leight Leightning L3 earmuffs performed a lot worse than the similarly rated Peltor Optime 105. Looking at the frequency table, this is no surprise. The L3 attenuate a lot less in the crucial frequency range than both the X5A and the Optime 105. I don’t own the Howard Leight Leightning L2 and L1, but looking at their frequency table, I would not consider them for cancelling speech. On the other hand, if you want to understand human speech while wearing ear muffs to block moderate noise, the Leightning L2 and L1, and the Peltor Optime 95 might be good options. If you are looking to get rid of the rumble of machines or trucks or low-frequency hum of compressors, the X5A and Leightning L3 are the to-go muffs. At the lowest frequencies, I have the feeling that the L3 even slightly out-edge the X5A. The X5A perform better at the “higher” low-frequency noise bands. Both of them clearly perform a lot better than the rest. If reducing lower-pitched noise is your main objective, the overall great Optime 98 are going to disappoint you. The Optime 105 and X4A offer decent low-frequency noise attenuation. What are the best earmuffs for sleeping? Earmuffs in general aren’t that great for sleeping because they are bulky and the clamping force necessary to block noise might make them uncomfortable when wearing them for a whole night. Earplugs or the combination of earplugs and sleep headphones are my preference for noise blocking during sleep. If you are a back sleeper with a lot of cash, you could also consider noise-cancelling headphones. That being said, for back sleepers who cannot tolerate earplugs, earmuffs are an alternative worth trying, and some people use them every night. What’s more, the double protection of earmuffs and earplugs adds a few decibels of attenuation, which might make it possible for you to sleep in a noisy environment in which sleep might otherwise be impossible. My favorite earmuffs for sleeping on my back are the Peltor Optime 98 because I find them the most comfortable. The Optime 95 work as well, but they provide less noise reduction. 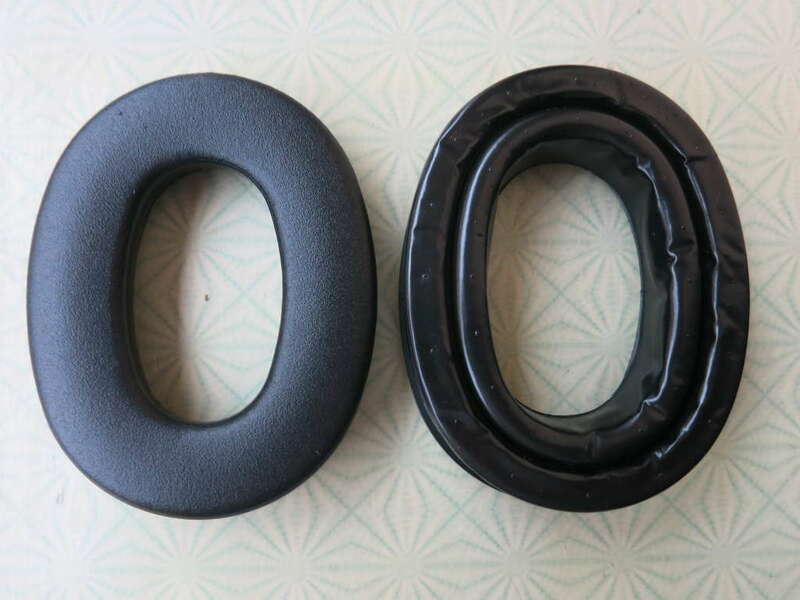 Both the Optime 98 and 95 can even be upgraded for more comfort with the Peltor Camelback Gel Sealing Rings HY80 (on the right side in the image). These super-soft cooling gel ear pads distribute the pressure better and provide for more room for the ears. They really do make the muffs more comfortable, but at a pretty steep price. If you are considering sleeping with earmuffs on your side, they might make even this possible. If you are a back sleeper who needs to get rid of low-frequency noise, you could alternatively try the Leightning L3. They are bulky, so they probably won’t work for a side sleeper, but they are quite comfortable and not too heavy. How can you sleep with earmuffs on your side? As I mentioned before, if you can tolerate foam earplugs, use these as a side sleeper. If you must use earmuffs, you need lower-profile muffs such as the Optime 95, and you need a pillow with an opening for the ear cups. I have tested the ring-pillow shown below, and it works reasonably well. It is, in fact, deep enough to also fit the Optime 98. A memory-foam pillow with an opening would probably work even better. As a side sleeper, I would get both the Optime 98 and 95 to see which ones work better. If, after testing, you feel this solution can work for you, you could improve on the comfort of the earmuffs by substituting the Peltor gel seals HY80 for the standard ear pads. On a different note, the low-profile X4A have a different headband, which doesn’t allow me to fall asleep on my side. 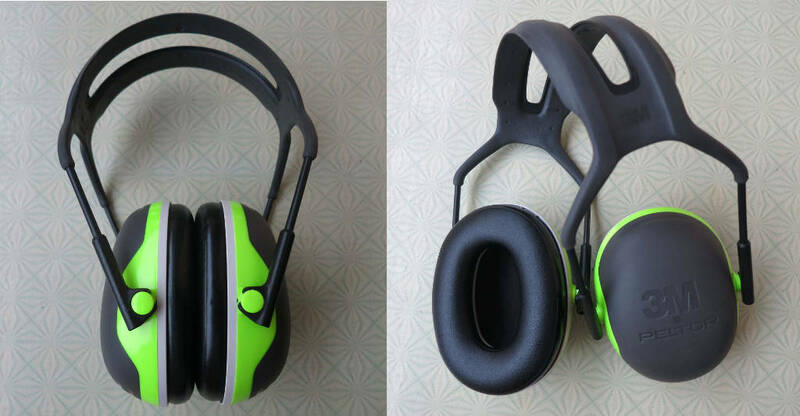 In this review, we have looked in detail at 6 different earmuffs and compared them on overall noise reduction, low-frequency noise cancelling, voice blocking, high frequency noise blocking, comfort, weight, and build quality. By removing excessive environmental noise, you can significantly improve your cognitive performance, general well-being, and sleep. You are also taking steps to protecting your hearing. 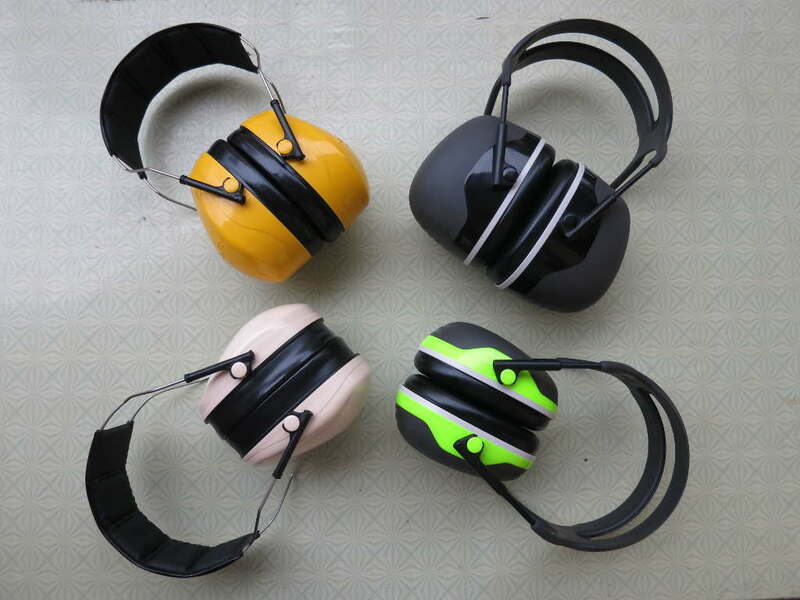 This post doesn’t focus on hearing protection in a workshop or industrial settings, although the earmuffs reviewed here are all being produced for protecting your hearing in such settings. Office workers, students and memory athletes are increasingly using them because they work for them as well. By all means, if you are exposed to noise on the job, work with your employer to assess the noise level and get appropriate protection for the noise level you are exposed to. 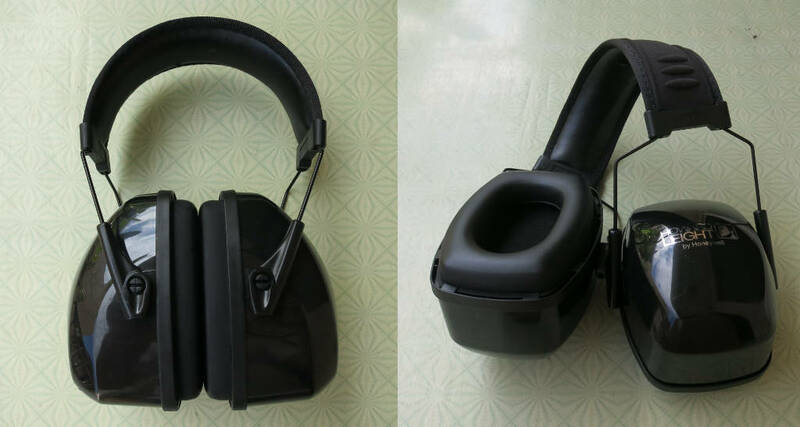 I recommend adding two pairs of earmuffs to your arsenal: I would get one pair of high noise reduction earmuffs such as the Peltor X5A (or the Peltor Optime 105) and one pair of general purpose earmuffs such as the light-weight Peltor Optime 98 (or alternatively the X4A). Owning these two, you are well equipped to fend off noise intrusions. You will have a pair for maximum protection and a pair you can just pull out of your backpack or bag when you feel overwhelmed by the noise around you. The Optime 98 also tend to work well for most children. “Audio Frequency.” Wikipedia, February 2, 2017. https://en.wikipedia.org/w/index.php?title=Audio_frequency&oldid=763221171. Eddy B. Brixen. “Facts about Speech Intelligibility.” DPA Microphones, January 2016. http://www.dpamicrophones.com/mic-university/facts-about-speech-intelligibility. Gerges, Samir NY, Mr L. Vedsmand, Mr H. Lester, and Kampmannsgade BAT-Kartellet. “Personal Measures and Hearing Conservation.” Geneva, Switzerland: Special Report of World Health Organization, 1995. http://cdrwww.who.int/entity/occupational_health/publications/noise11.pdf. Ravicz, Michael E., and Jennifer R. Melcher. “Isolating the Auditory System from Acoustic Noise during Functional Magnetic Resonance Imaging: Examination of Noise Conduction through the Ear Canal, Head, and Body.” The Journal of the Acoustical Society of America 109, no. 1 (January 2001): 216–31. The Engineering ToolBox. “Octave Band Frequencies.” The Engineering Toolbox. Accessed July 5, 2017. http://www.engineeringtoolbox.com/octave-bands-frequency-limits-d_1602.html. This entry was posted in Gear and Hardware and tagged concentration, noise, performance, sleep by Helmut. Bookmark the permalink. In have used earmuffs with earbuds underneath for listening to podcasts, watching lectures, noise masking with white noise, etc. Generally, the earmuffs almost completely retain their noise blocking performance. The small wires do not seem to lead to major leakage. I have used the Peltor X5A, Optime 105, and Optime 98 together with earbuds. The X4A are not very comfortable with earbuds underneath. In terms of comfort, it does matter which earbuds you use. The Sennheiser CX 300 II work for me. They almost do not protrude from the ear. However, the wires do pinch the ear a bit. In any case, it is good enough for me for an hour or two. It is really amazing how much clearer podcasts and lectures become when everyday noise has been removed. Surprisingly, I have found my trusted pair of Panasonic earbuds that sit on top of the ear canal (instead of in the ear) more comfortable. Somehow the earmuffs squeeze the ear canal a bit, but this isn’t a problem with this type. I also have a pair of Panasonic in-ear earbuds, which generally sound great. Unfortunately, they become uncomfortable after a short time underneath. Another economical alternative would be the Howard Leight Sync Noise-Blocking Stereo earmuffs. I was considering buying them, but ultimately got the Bose QC35 noise cancelling headphones. I use earmuffs a lot, but these days more for when I want it quiet rather than when listening to music or podcasts. You did an amazing job on this post. Thank you for the guidance, sir! Can you say where you found that pillow? I bought that pillow in a home decoration store while traveling in Taiwan. I just looked at it, but I can’t find the brand name. 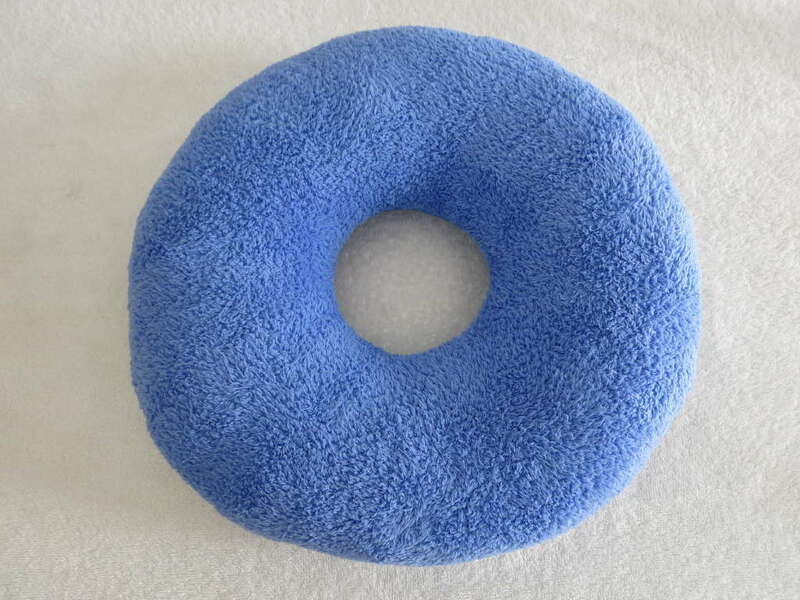 I just had a look on Amazon: “donut pillow for head” brings up a few results. I haven’t tried any of these though. My question is, why does the X4A get a 7.5 in comfort? Does it squeezes the head more than the Optime 98? Lastly, have you ever heard of the 3M Muffler (little red one)? Compared to these mentioned above, is it good? First of all, I find all earmuffs I have written about in this post reasonably comfortable, including the X4A. In the Optime 98, my ear lobes have all the space they need, while in the X4A the fit is a bit tight. Also, if I put them on too fast, the X4A give me a bit of a suction feeling. That being said. I have often worn the X4A in coffee shops for several hours and without major issues. IMO, both the Optime 98 and the X4A are good earmuffs: The X4A attenuate low frequency noise better; the Optime 98 provide more space for the ears. I have no problem with either earmuffs’ clamping force. As to the 3M Red Mufflers: I don’t own them, but just did a bit of reading. They seem to be folding earmuffs. With an NRR of 21 db(A), they would be too weak for me in terms of noise reduction, so I wouldn’t buy them for studying at home. If you are going to wear your earmuffs at home, looks probably don’t matter that much at all: If you want it as quiet as possible, why not aim for the X5A or the Optime 105? You are getting a lot more attenuation for a little more money. What a fantastic post. Thank you so much; this is hugely helpful and fun to read. I say this with fondness; this was the nerdiest post about earmuffs I’ve seen on my quest for noise cancelling earmuffs. Unfortunately I found this post a tiny bit too late and ended up purchasing “3M Pro-Grade” earmuffs at my local hardware store. Have you heard of them? If so, how do you think they compare to the X5A or the Optime 105? In combination with earplugs, they seem to mute most conversation sounds – I wore them in the library and they effected a “I’m alone now, focus time” feeling. They truly drown out the world around you. So I’m not so concerned with the effectiveness. But I’m wondering how the “3M Pro-Grade” compare comfort-wise with the X5A or the Optime 105. I sit for hours upon hours in loud conversation spaces to read and write, and comfort is a big factor for staying focused. Unfortunately, I do not own the 3M Pro-Grade, so I can’t comment on their wearing comfort. Noise attenuation wise they seem to be on par with the Optime 105 and a bit behind the X5A. But as you have said, you are getting all the noise blocking you need, so no need to shoot for the X5A for extra attenuation. Since you are wearing double-protection with earplugs underneath, you are getting pretty close to the physical limits of what can be achieved with passive hearing protection anyway. 1. The 3M Camelback gel earpads mentioned in this post would likely increase the comfort quite a bit. Unfortunately, I don’t know if they would fit your earmuffs. Maybe shoot a short message to 3M. These earpads cost more than the muffs though. 2. I also have a pair of Bose QC35 headphones and I use them a lot in cafes. If you combine these with earplugs you get a very good level of voice blocking with very comfortable headphones. But this solution means serious $$. p.s. I’d wear a helmet if it stopped all noise. I don’t know if you have already looked into noise masking with white noise? You still need noise blocking as your first line of defense. If you don’t mind the sound of a steady stream of water and wearing earmuffs with earbuds underneath is comfortable enough for you, you can (in most situations) completely rid yourself of all chatter, as well as crunching and creaking noises. For speech – this is my ultimate defense. Yes that helmet. They might have a commercial one for MRI available at some point. I am afraid it will be prohibitively expensive though. * The Optime 105 is about 60g (2 oz.) lighter than the X5A. I can feel this weight difference. * The Optime 105’s ear pads have a wider opening (6.3 x 3.7 cm) than the X5A’s ear pads (5.6 x 3.2 cm). The opening for the Optime 105 is about the same as for the 95. My ears feel somewhat more at ease in the Optime 105. This is not a major issue for me, but depending on your ear size it may be for you. I actually prefer the X5A headband, but everyone is different. Should it turn out that the weight of the X5A earmuffs is the main issue for you, the Optime 105 would be a good option to try. In terms of noise reduction, the Optime 105 are a fine pair of muffs. They are not quite as strong as the X5A, but pretty close. They are light years ahead of the Optime 95. Even with normal headphones (that have a very low clamping force), one person will perceive a particular pair as very comfortable, while another person will feel that the phones are pinching their ears. As the others have said, great article!! I have severe hyperacusis and I am in need of serious noise blocking. I own a pair of QC35, and I am wondering how these compare with the passive ear muffs in your review in terms of noice cancellation? good earmuffs such as the X5A and the Optime 105, but even including the Optime 98 tend to attenuate the intermediate frequencies, I would say roughly from 500 to 3150 Hz significantly better than the Bose QC35. Speech and most everyday noise appear significantly quieter when wearing strong earmuffs than when wearing the QC35. Most of what annoys me in coffee shops and open offices is blocked better by earmuffs that are at least on par with the Optime 98. The unique strengths of the QC35 are low-frequency noise cancelling and wearing comfort. For example, the low-frequency parts of washers, ACs, traffic rumbling, and turbine humming are very effectively cancelled by the QC35 headphones. They even remove most of the bass of an audio system’s subwoofer. Removing these low-frequency components significantly increases my well-being. I feel a lot lighter without all this rumbling, so despite their weaknesses the Bose are a great piece of equipment. A pair of well-fitting foam earplugs underneath the QC35 will give you a feeling of what good earmuffs (e.g., X5A and Optime 105) can do for speech and everyday noise blocking. In the low-frequency range this will even outperform the muffs. Thank you for your review. I have been studying for several academic exams, such as the GRE and the TOEFL. I need a noise canceling device for people’s speech as soon as possible. Do you have any current recommendations? I would like a less weighty gadget, but I m not sure if this exists. If you have any idea, please let me know. I assume that with “less weighty” you mean that earmuffs are too heavy for you. In that case I would try earbuds or noise isolating in-ears that properly seal your ear canal together with an adjustable white noise app like myNoise. Everyone’s ear is different so you might have to experiment a bit. If you are looking for economical noise-isolating earphones, Koss The Plug might be worth a try. You may find it hard to completely block louder speech noise, but with white noise (frequency-adjusted to match the chatter) and a good seal you should be able to mask the remainder of the speech noise. this is the only article I needed to read in this matter. Thanks man. many thanks for the thumbs up. Hi. Great post! Thank you so much. I wear foam plugs to bed at night and for the most part they take care of my noise reduction needs. However, last night, due to the New Year holiday, I had to endure illegal fireworks being shot high into the sky after midnight by my neighbor and it was unbelievably loud. It went on for maybe 10 minutes but that was enough to make my heart race and to keep me from being able to sleep, even long after it got quiet, mostly because the heart palpitations would not stop. I would not expect an earplug/ear muff combo to block that kind of noise altogether, but I’m wondering if the Peltor Optime 98, in combo with plugs, might dull the noise a reasonable amount. I don’t know whether fireworks, gunshot noise and other similar noise is considered low, medium or high frequency so it would help to know that. Of all the muffs you reviewed, I am most attracted to the Optime 98 because they are lighter weight and might be suitable for sleeping. Obviously, fireworks don’t happen every day, but I would like a pair of muffs for general use in case I need them, and maybe they would dull the intense sound of close-up fireworks as well. Could you advise me on this? Thanks! The earmuffs will add to the protection your earplugs provide, but you can’t just add the two ratings. Double-protection is also used in high-noise industrial settings. You can expect a max of about 5 dB added protection over the higher-rated protector, so it’ll be perhaps another 25% quieter. The thing with earplugs is that many people don’t get even half the max. protection the plugs can provide, in particular for low-frequency noise. If your earplugs are not inserted deeply, you lose up to 20 dB at the lower frequencies. That is, the noise will be 4 times as loud as need be. So this is a point you clearly want to optimize. And yes, that “boom” in fireworks consists of a large amount of low-frequency noise. 1. I recommend that if you are unsure if your earplugs fit properly, go watch the short Youtube video Fitting Foam Earplugs,” by Elliott Berger. Note how the earplug reaches into the bony part of the ear canal. Mr. Berger is one of the greats of hearing protection. To get optimal protection you would, as you suggested, wear earplugs underneath the muffs. With NRR-30 to 33 earplugs fitted optimally, I would imagine that the Optime 98 could work almost as well as a larger muff in a double protection scenario. The problem is that with earplugs, despite best efforts, many people don’t get close to the protection the earplugs are rated at. 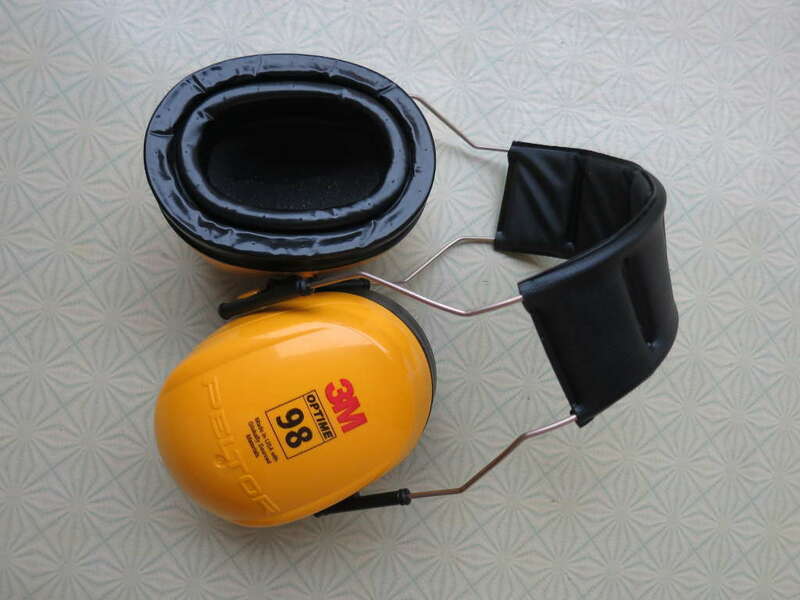 Because of that, a stronger earmuff such as the Optime 105 would be a good idea even when using double-protection to get as much protection as possible. The Optime 105 are still pretty light and could work for sleep, if you are a back sleeper. As you mentioned, the fireworks might wake you up anyway, so perhaps just put on the muffs on top of the earplugs to minimize the stress response you are getting, so you can get back to sleep after the neighbor has done his thing. Hi, this is what I was looking for. I’m really sensitive to noise, working as a developer in an open space office is killing me. I am also working at home. I have “solid” active noise cancelling headphones (but they’re only good for bus, plane or low-frequency noise such as appliances). To cancel out office noise is it best to go with the 3m peltor x5a, or do you have another candidate to offer (maybe something has changed from the time this article was written)? I have a bit bigger ears, so do you have any recommendations for that. I need to check the size guidelines for the x5a. Which earbuds do you recommend using under them (some budget friendly ones)? Are they heavy if my aim is to wear them for several hours a day? I will take breaks of course. But I’m wondering whether they become uncomfortable after an extended periods of time? Since you already have active noise cancelling headphones, I would suggest you play white noise through them and see whether that solves your problem. Try the app myNoise (sound generator White Noise & Co), available for Android and iOS, and online at mynoise.net. It is a great app and has a built-in equalizer with which you can fine-tune the pitch to create an optimal masking sound for your headphones and office. The basic app, including the sound generator mentioned above, is free. If this doesn’t solve your problem, yes, the X5A are still the most effective earmuffs I know of and I use them almost every day. For me they are comfortable, but not as comfortable as Bose noise cancelling headphones. Tip: let the cups slide over your ears from behind when you put them on. The Optime 105 have wider and longer ear cushion openings; they would be a good alternative if your ears are very big. Please note that all earmuffs have a higher clamping force than headphones. As to budget earbuds that would fit underneath: I find the Maxrock sleep earbuds a good option. IMO, they sound quite decent, but more importantly, they are very soft. More comfortable yet are the speakers that come with sleep headbands, but they would only be suitable for playing white noise and listening to some audio books or podcasts. You would just put these in the cups. Wow, I’ll try the app right now. I wear protective glasses (blue-blockers) to reduce eye strain from blue light. Did you try the X5A with glasses? I’m worried that the frame of the glasses might have an effect on the isolation. Like you, I’m spending a huge portion of time studying/coding/learning new things, and silence is all I wish for. In every open space office there is a lot of noise. Maybe it’s not a big deal, but I’m really hyper-senstive to noise. I will try the app, and will let you know. yes, I wear glasses together with the X5A earmuffs. I use glasses with almost straight temple arms and let these arms sit on top of the ear cushions. That way the arms don’t press against my temples at all and the seal is always intact. This works great for me. I do exactly the same when wearing over-the-ear headphones. That way I can also extend the life of the ear cushions before having to replace them. So if you can, get glasses with straight temple arms and without that hook that is supposed to go around the ears. That being said, if the arms of your glasses are thin and flat, you should be able to use them underneath the cushions as well. Many people do this with safety eye wear, and I used to do this as well. Depending on the glasses, there may be a slight reduction in noise isolation.